Vintage Adventurer | Only 1 More Sleep to go!!! Only 1 More Sleep to go!!! Hello again!!! Only 1 more sleep to go! I called in to see my good friend and race engine builder, Troy, from Arundel Cylinder Heads www.arundelcylinderheads.com.au. The Rattler had a final timing check, and just as well, because it was a tad too faradvanced. I did it by ear because all of my specialist gear is in the 1930 Model A Ford ‘Ruby’ from the 2016 Peking to Paris Rally, who is still on her way back home. I am not sure when I will see Ruby again! Last I heard was that she was going to be loaded on a ship in Singapore!! So this is probably my last hooroo from home base. 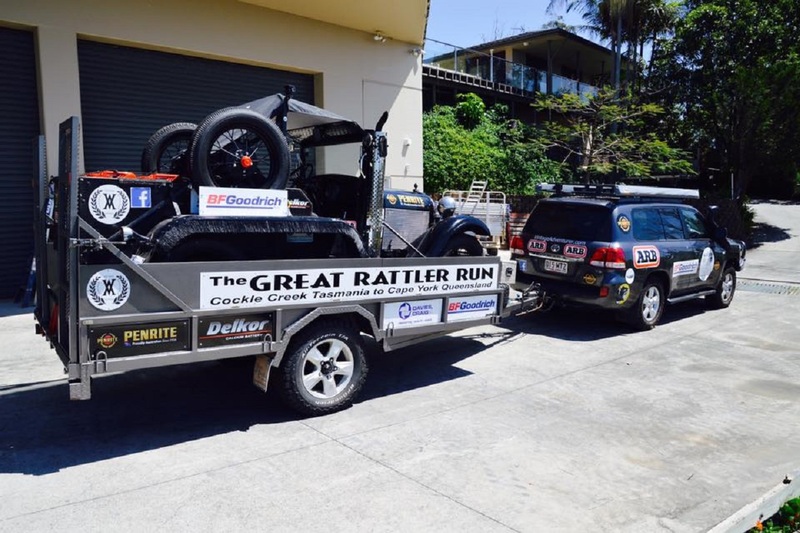 Stay tuned my friends, sit back and follow The Rattler as we head off and take on the entire East Coast of Australia from the middle, to the bottom, to the top ….. and back! And btw, I’m grinning from ear to ear – Vintage Adventurer made it to ONE THOUSAND LIKES today. What a great way to start this journey.